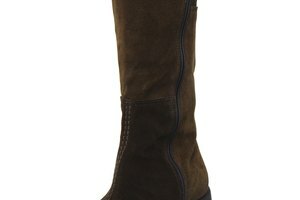 You can typically find a plethora of purses and handbags in most women's closets. 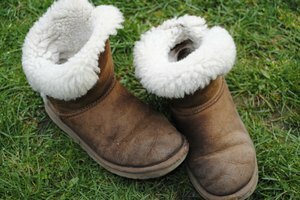 Some look new; however, some reveal the wear and tear of repeated usage. 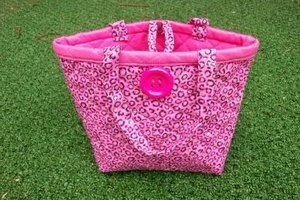 If you want to dye your purse to give it life again, you can do this by keeping the surface material in mind. For example, fabric purses, such as cotton, rayon or hemp, are good candidates for dye baths. 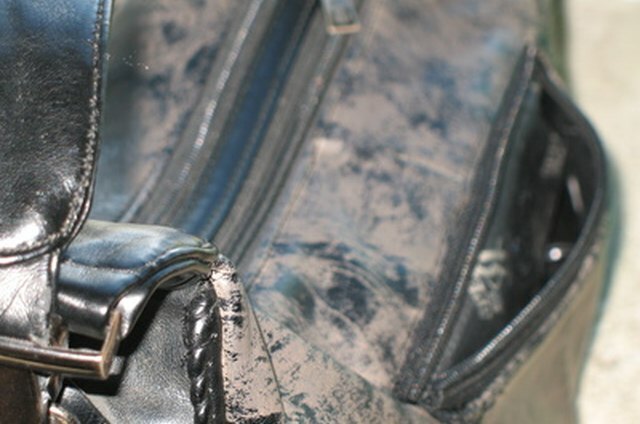 Vinyl purses, however, require specially-formulated vinyl dye. Lay newspaper or a plastic barrier down on your work area. Make sure the room you are working in is well-ventilated. Shove newspaper into your vinyl purse. You want to stuff it full of newspapers so that it is an expanded form while you apply the vinyl dye. You want it full so that there are no creases when you apply the dye. Wash the vinyl surface with soap and water or alcohol to remove any grease or dirt. Let it air-dry. Use masking tape to protect any surfaces that you don’t want to dye. For example, if you don’t want to dye the strap, cover it with tape at this point. Put on a pair of protective gloves and a face mask to avoid inhaling any fumes. Spray the purse with the vinyl dye. Follow the manufacturer’s directions regarding how often you should shake the can as well as the recommended spray distance. 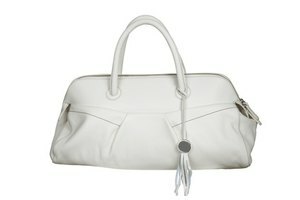 Spray one side of the purse in light, even coats and be cautious about any drips that might occur. Allow each coat that you apply to dry thoroughly before applying another coat. The surface should not be tacky between coats. Turn the purse over to spray the other side. 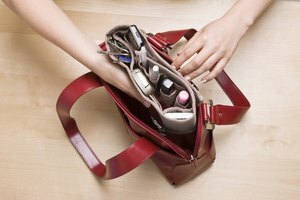 Don’t forget about the bottom portion of your purse. Leave your purse to thoroughly dry for about a day before using it. Wash and dry your fabric purse beforehand. Fill your bucket with hot water. Use enough water so that you can completely immerse your purse in it. Then, fill a large bowl with hot water as well. Put on a pair of rubber gloves. Take your fabric dye out of its package and pour the powder into the bowl. Follow the manufacturer’s directions regarding how many cups are needed per package of dye. Stir the powder into the water in your bowl to dissolve it. Pour the dye mixture into the bucket of water. Thoroughly stir the entire mixture. Soak your fabric purse in hot water before plunging it into the bucket with the dye. Submerse the purse entirely in the dye and stir it around. Let it sit for about 30 minutes. If you want a darker hue, let it sit for about an hour. If you don’t want to dye the purse strap, however, simply hang the purse from a broom handle and rest the broom on top of the bucket. This way, only the purse portion is immersed in the dye solution. Take the purse out of the dye and rinse it out in your sink with warm water. Rinse until the water that runs through the purse is free of color. Then rinse the purse under cold running water. Put your purse in the dryer or let it air-dry on a clothes drying rack. Always follow the manufacturer's directions for each type of dye.